In this, Megalogenis indicated the utility of a historical perspective to inform contemporary policy approaches. Orthodoxies that no longer suit the requirements of the times can be superseded through a broader outlook that draws inspiration – if not direct guidance – from the nation-building projects of previous periods. But this requires an appreciation of the worldviews and long-term visions of change that informed such policy approaches: the big-picture thinking that underlay the manner in which specific policies were formed, advocated, and implemented to create large-scale change. Megalogenis suggested looking to the period of reconstruction following the cataclysm of the Second World War to broaden policy horizons. 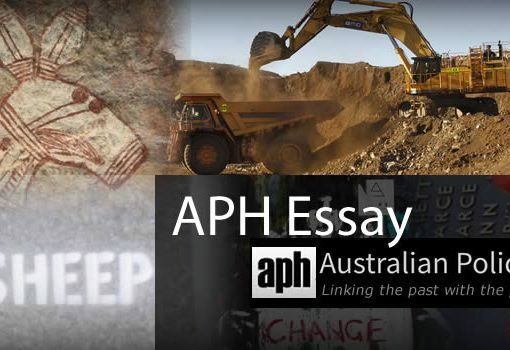 My research considers an earlier period of nation building in the years following Federation, and suggests a worldview– a reformist élan – that can inspire a contemporary spirit of change to inform the development of specific policies aimed at reshaping Australia to meet future challenges. In the early twentieth century reformers from the Australian Labor Party were dedicated to a far-reaching project of social change in which they intended to use the state machinery intervene in the economy, and to recraft the terms of Federation. Their commitment to specific policies was inspired by this worldview: a national vision of where Australia was, and where it should go. At a time of democratic experimentation, when the new federation was in the process of creating itself, these Labor reformers had a nation-building plan. Labor reformers operated in a world different from our own, but were prompted by similar pressures. Their attitudes were shaped by the financial uncertainty following the sustained economic crises of the 1890s, which were international in nature. The political system was unsettled, with a constant interchange between the heads of government. There was anxiety over borders and migration. There was the questioning of the relevance of structures of government in the new century. This was underpinned by a feeling that there was a widening gap in wealth and social opportunity, facilitated by vested power-interests with a disproportionate influence over the body-politic. In 1910 Australia elected its first majority government – the Labor ministry led by Andrew Fisher. Within its ranks a young parliamentarian, James Scullin, gave voice to this reforming spirit. Two decades later, of course, Scullin would come to serve as prime minister. In 1910 he delivered the opening speech of the new parliament, providing a keen insight into this spirit for change. His words evoked the nuanced and egalitarian worldview of these reformers – although this egalitarianism was strongly qualified. Underpinning Scullin’s words, and reflective of the dark racialised heart of Australian politics at this time, was a commitment to the racist White Australia policy, a belief in racial exclusion shared by all Australian political parties following federation. 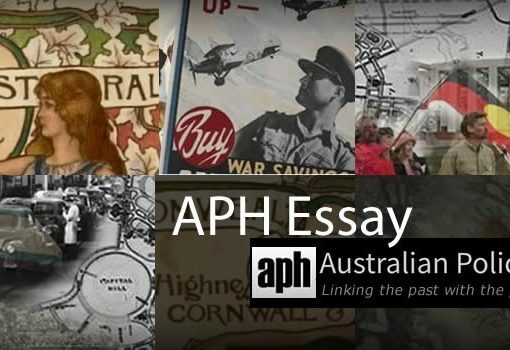 A dark stain on Australian history, and warning of how challenges should not be met. In his speech, Scullin outlined a number of sweeping, interconnected reforms that he claimed would ‘justify Federation.’ Labor believed that Federation was incomplete. The Constitution had been written largely by conservative forces, and they wanted to alter it. This was necessary to enable an approach to policy that had at its heart the belief that government could play a positive role in the economy and society, and that policy priorities had to be determined, in large part, by the capacity to deliver social good. But the most far-reaching reforms advanced by Scullin was the amendment of the Constitution, ‘one of the most important measures before the people of Australia at the present time.’ Constitutional change was required to enlarge the powers of central government to undertake a number of progressive policies. 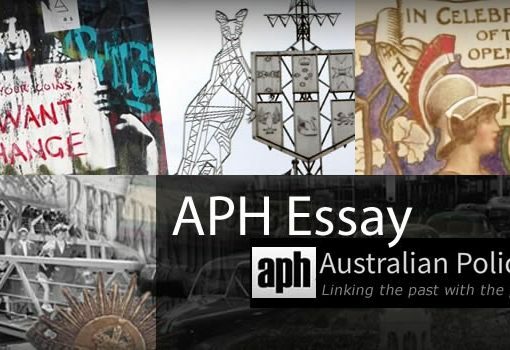 It would empower the commonwealth to deal with ‘trusts and combines’ that were ‘eating into our commerce.’ As Scullin argued: ‘private enterprise will have to justify itself.’ This was not hostility to the market, but nor was it a fetishisation if its capabilities. Private enterprise had to justify itself, by contributing to Australian society not just posting profit margins. These powers would be reclaimed, and Federation justified, through utilisation of the referendum. An act of mass democracy in which the citizenry would be directly engaged to recraft the tools of government, and redistribute state powers in an act of democratic creation. This was a philosophical commitment to developing a national sentiment, but also a strategic understanding of power in Australian society. It was based upon an awareness that the entrenched interests that dominated the upper houses of state parliaments could block progressive reform. This worldview wanted to recraft federation – and thereby justify it – through direct appeal to the citizenry to reshape the constitution through the referendum provision. That the government could play a progressive and positive role in economic affairs. It would allow the market to operate where it did best, but did not believe the market alone could cater for social good, and did not entrust it alone to solve social problems. Government could take decisive action in the economy for the long term benefit of the nation. Government, and policy-making, should and indeed must include social equity as its core. Social benefit should count as much as the abstract goals of state managers, such as “growth”. Policy could, and should, actively involve the citizenry to engender fundamental transformation of political structures that did not reflect the zeal and interests of the nation; particularly in regards to social equity. Labor reformers were not successful in implementing their entire programme, notably failing at two referendums to achieve their aims. But there were substantive achievements such as the creation of the Commonwealth Bank, instituting a Land Tax and Land Assessment Tax, an extension of the pension and the creation of the Maternity Allowance, and the Workmen’s Compensation Act. These were substantive, and contested, reforms inspired by this outlook. This worldview was part of a reform zeal that was national – it was about large change, structural questioning, and planning for the future through recalibrating economic and political structures to suit the times. When the government experienced defeat at the two referendums it put forward, it did so after a mass democratic exercise on substantive questions of national direction. By holding the vote, and enlarging the democratic engagement of the citizenry, they achieved to an extent one of their aims of national deliberation. Twenty-first century policy making cannot take uncritically from the past, but it can draw upon its energies for national transformation. Missing in Australia’s current political and policy discourse is a similar excitement for change, a commitment to long-term planning, and a willingness to involve the citizenry in crafting the nation they compose. A return to such energies is possible with the formation of worldviews to underpin specific policies: a far-reaching vision of how to recreate the nation in the twenty-first century. Citation: Liam Byrne. The Reforming Spirit. Australian Policy and History. December 2016. George Megalogenis, “Balancing Act”, Quarterly Essay, no. 61, 2016, p. 63. Commonwealth Parliamentary Debates, vol.55,1 July 1910, p. 45. Environmental Citizenship and the Neoliberal State: Good Policy or Greenwash? Previous post Whose History Matters?